Dade County was created on Christmas Day 1837. The date of the construction of the first courthouse is unknown, but it burned in April 1853. Soon replaced, it was also a victim to fire, this time at the hands of Union troops in November 1863. 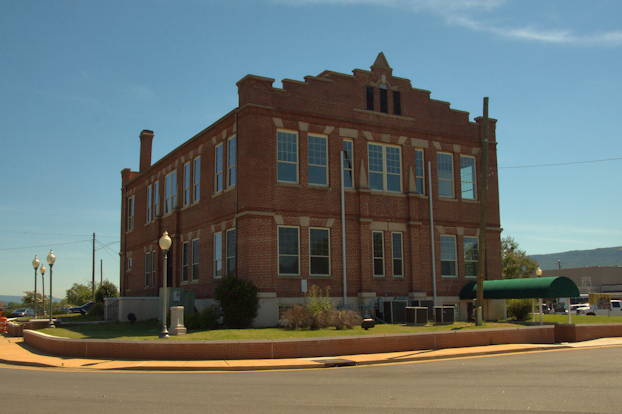 The next courthouse was built in 1869 and accounts of its demise are unclear. One source states that it burned in 1895, while another notes that it was demolished when the present courthouse was built. Due to its geographical isolation from the rest of Georgia, Dade County was sometimes noted for its separatist views. It was long believed that a group of impatient Dade County citizens publicly announced their secession from both Georgia and the United States in 1860; in reality, they seceded with the rest of the state. But the legend of the “State of Dade” was born. In 1945, President Truman even sent a telegram congratulating the county on “rejoining” the Union. When the Georgia state quarter was issued in 1999, the controversy was briefly revisited. The map on the quarter was missing its extreme northwestern corner, which is the location of Dade County. 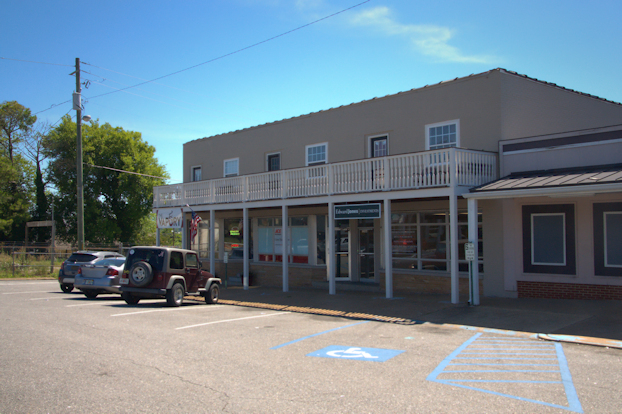 Downtown Trenton is located around the courthouse square and it’s a very small, but busy downtown. 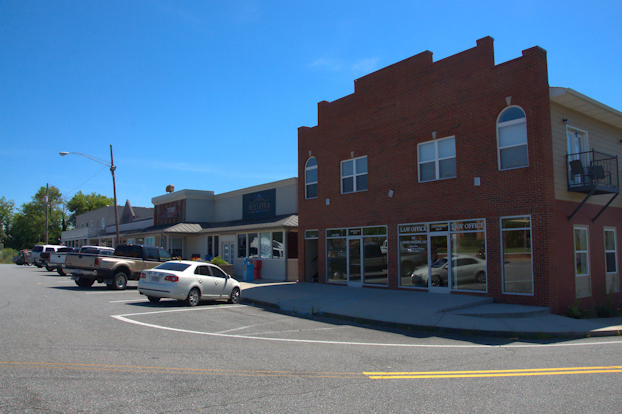 There is a more modern commercial area about a mile away. I haven’t located any history of the structures but will share when I know more. 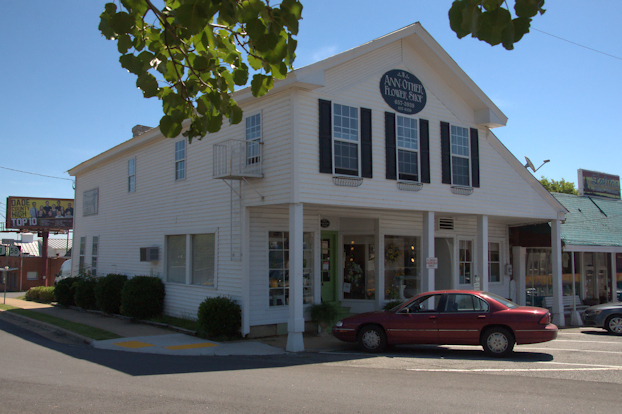 Part of this building is used as the Lineman Lodge. Trenton is home to the Southeast Lineman Training Center, the premier location for the training of apprentice power and cable line workers. 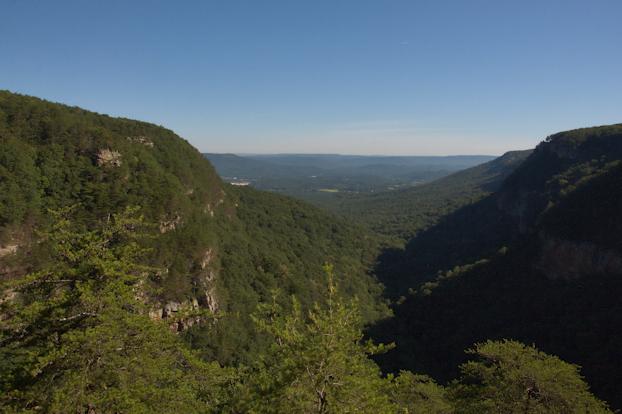 Through the acquisition of private lands beginning in 1938, Cloudland Canyon State Park was established in 1939, with much of the initial work being done by the Civilian Conservation Corps (CCC) as part of FDR’s New Deal. Until this time, the only access to most of Dade County was through Alabama or Tennessee so the State of Georgia and the CCC built Georgia Highway 136 to connect the park and the county seat of Trenton to U. S. 41 and the rest of the state. 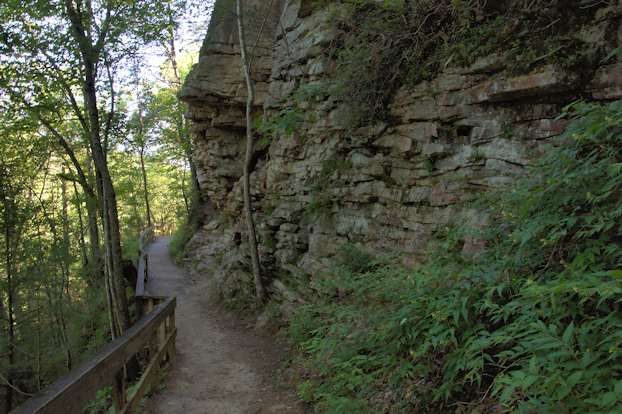 The park is located on the Cumberland Plateau atop Lookout Mountain, where Daniel Creek and Bear Creek converge to form Sitton Gulch Creek. The site was historically known as Sitton Gulch. 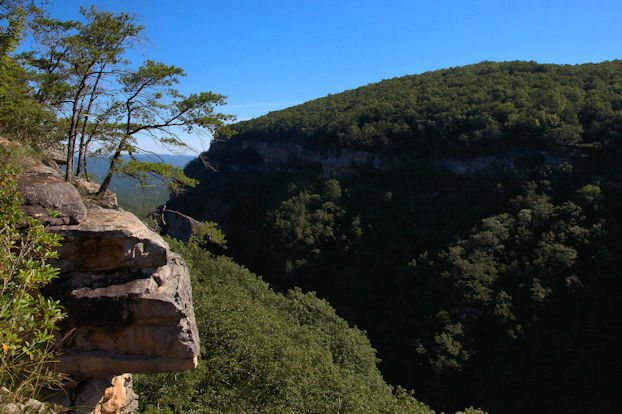 Characterized by a dramatic gorge cut by Sitton Gulch Creek, Cloudland Canyon is over a thousand feet in overall depth, with elevations ranging from 800 to 1980 feet. 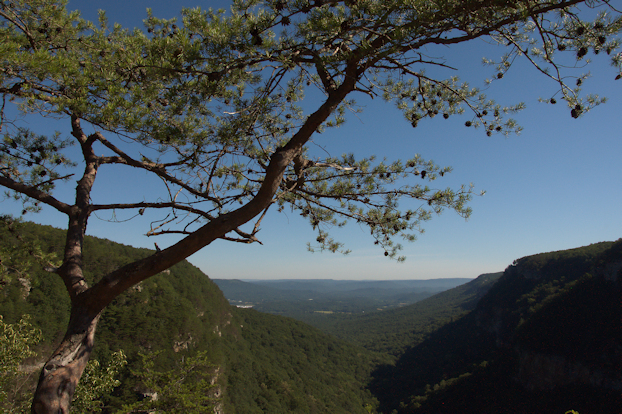 One of the most-visited state parks in Georgia, Cloudland Canyon offers something for everyone. Primitive campers, as well as “glampers” utilizing one of the well-appointed yurts or cottages, can spend days hiking the canyon, accessing waterfalls, caves and other amazing features. I highly recommend adding this to your Georgia “bucket list” if you’ve never visited. Even if you’re not an “experienced” hiker, the the Overlook Trail adjacent to the main parking lot is relatively easy. The views at the main overlook (above and below) are well worth the effort. 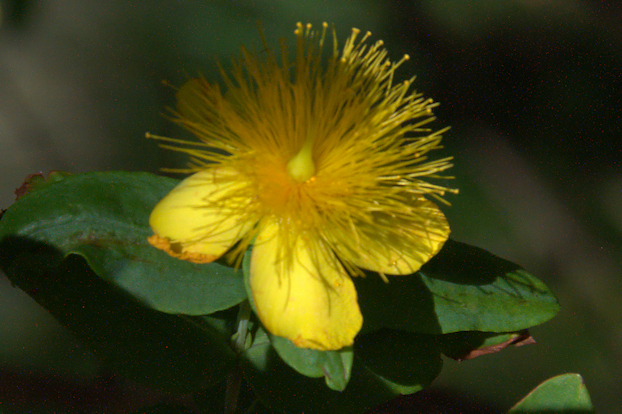 Summer is a great time to see native plants, such as the Golden St. Johns Wort (Hypericum frondosum) seen below. This species seems to grow right out of the rocks in places. 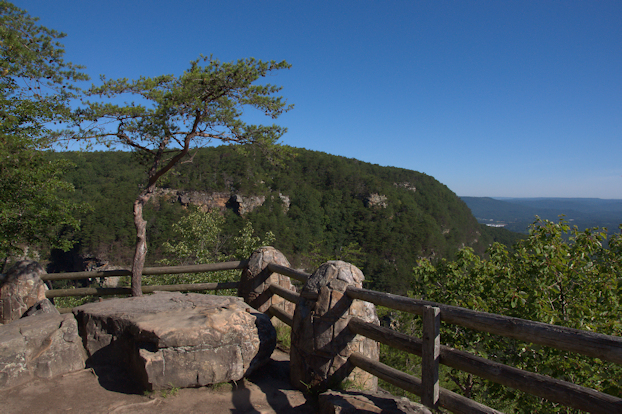 Overlook #2 is a short hike from the interpretive center and affords wonderful views of Bear Creek Gorge. It’s usually quite shaded and a bit difficult to photograph. 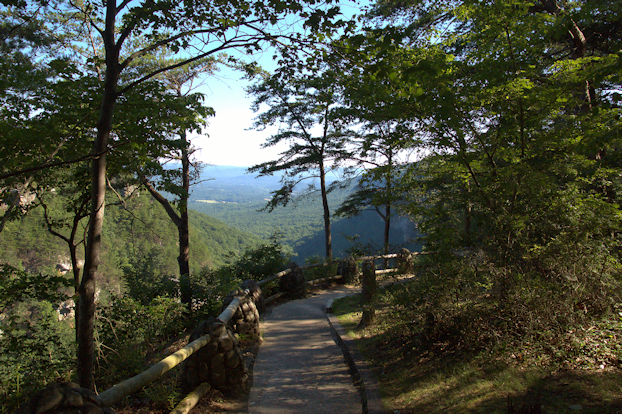 From the Overlook Trail, follow signs to the Waterfalls Trail. A quick descent and strenuous steps characterize this hike, which I didn’t complete due to time constraints. 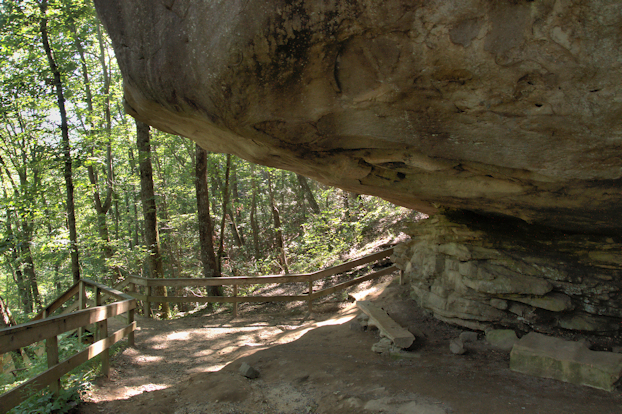 Even if you can’t make it all the way to the falls, enjoy the geologic formations, including this well-known rock overhang. 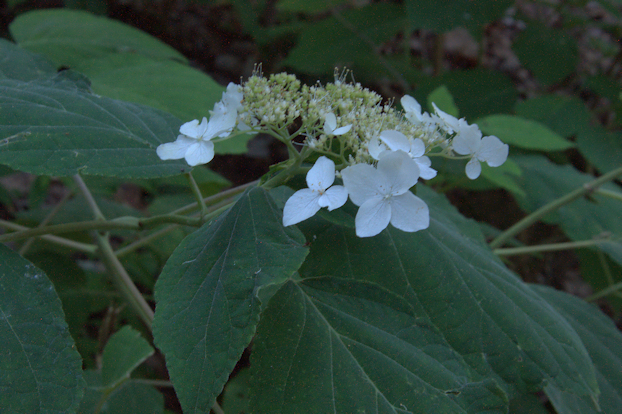 Wild Hydrangea (Hydrangea arborescens) is somewhat common on this section of the trail.